Almost two years have passed since I discovered I was pregnant with my sweet daughter Seymour. Since that moment, I’ve found myself on the joyful, mystifying, wonderful journey that is motherhood and parenthood, experiencing everything incredible and terrible that comes with it. The time passes so quickly, and my daughter changes so much every day, that I find myself struggling to understand the experience. I’ve found that before I even have a chance to process and understand the experience, it has passed, my daughter is completely different, our relationship has changed, and I have to try to grasp the present moment and understand it in a flash before it’s gone. But I’m busy: I have two jobs (working at The New York Times and writing my own books), I have precious little time with my daughter, I need to exercise every day, I need to study and learn, I need to read, I need to cook, I need to do the chores, I need and need and need and am needed. There is no time for processing, no time for waiting, no time for staring at the wall and thinking about how I feel and how I view myself and what and who I am now, in this moment, as a mother, as someone’s mother, as this sweet, kind, open-hearted little girl’s mother. And so I try to do with motherhood what I do with most other things in my life: I try to find words written by others about how they experienced it. Whenever I pick up such a book, I have this secret, quiet hope in my heart that maybe this person, this book, this poem, will put into words what I cannot. 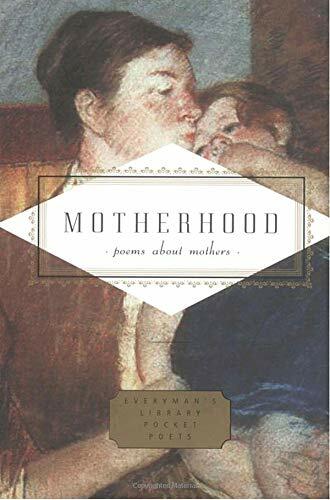 That’s the hope I had when I picked up Motherhood: Poems about Mothers. I read it eagerly, holding every word by Audre Lorde and Sylvia Plath and Anna Akhmatova. I read each poem again and again and again, hoping that I could find the words for what I felt, and that reading those words would help me understand myself and this new, ever-changing, role I was playing in the world. But I came up empty. It happens quite a bit. It’s rarely an indictment of the book itself, as was the case here. The poems in this collection are wonderful. They are beautiful and careful and tell the inner stories of many men and women and their relationships to this role of “mother.” But none of them were what I felt, none of them were what I had seen, none of them had the words that describe what I have experienced as a mother. Of course, that all hinges on one thing: time. I must find a way to slow down time, find a way to make each minute feel longer, so that I can process and understand the things I feel and see. I’m a little scared that, at the end, I’ll only find that there is no way to do so.